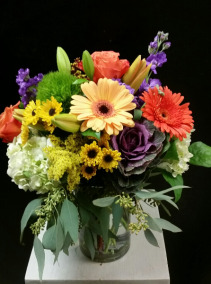 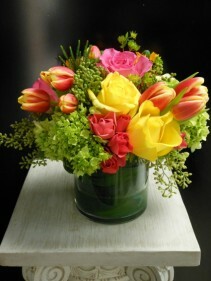 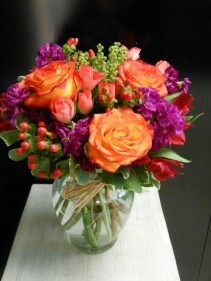 This magical mix of luxurious pink, orange, yellow and green blooms bursts with color, texture and personality. It's a tropical treat they'll never forget! 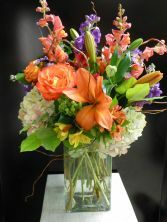 Make her blush with this romantic mix of fragrant lilies and lush hydrangea in dreamy shades of peach. 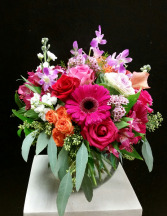 This artistically arranged bouquet of red roses and anthuriums, fuchsia orchid and other brightly colored blooms in cylinder vase will bring a ray of sunshine to any day. 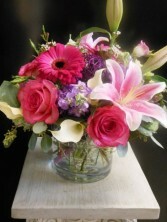 Welcome the newest little cutie into the world with this Pop goes the pink! 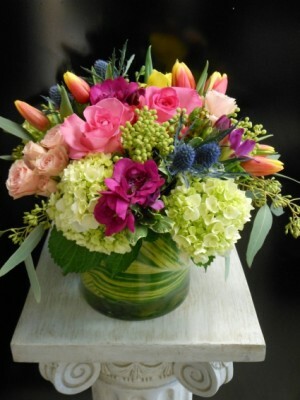 A gorgeously chic gift for any occasion, this perky pink and green bouquet. it's a darling little bundle - just like her. 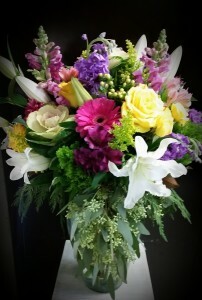 Majestic and magical. 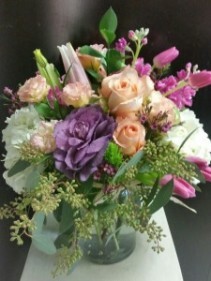 Exciting and Elegant. 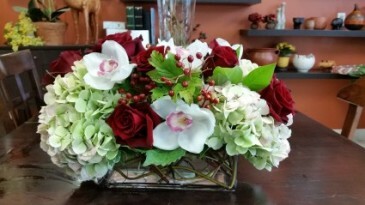 This jewel toned flower centerpiece is a gem! 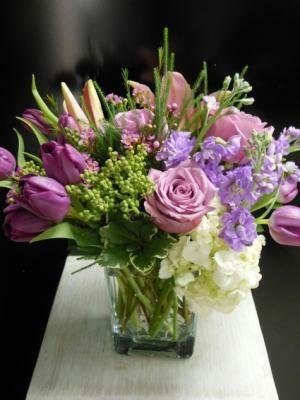 Gorgeous lavender, white, pink and green blossoms create a luxurious arrangement that is as dynamic as it is distinctive. 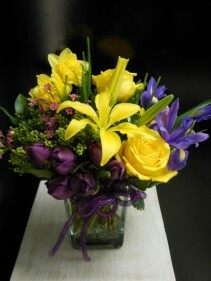 Natural elegance to celebrate any occasion! 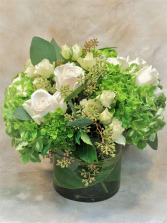 Like a flourishing garden, this gorgeous bouquet of luxurious white blooms and fresh greens hydrangea. It's elegant, sophisticate, This luxuriously lush, incredibly stylish arrangement gathers orchids, roses, hydrangea, and berries into a modern rectangle vase. 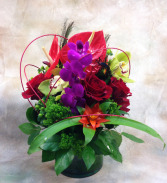 It's sure to make quite an impression as a lavish gift delivered to someone truly special. 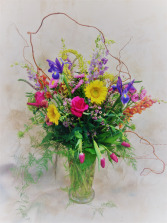 Turn heads with this majestic array of blooms, artistically arranged in a tall vase for maximum impact. 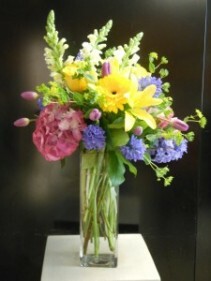 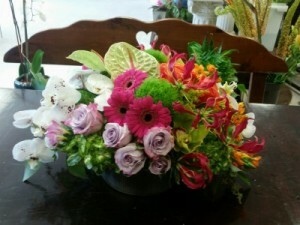 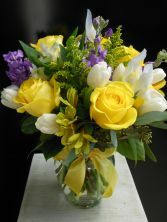 Encke Flowers' designers will create for you a one-of a kind arrangement of flowers with own signature style and flair. 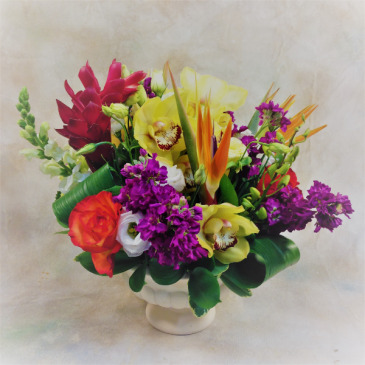 Designs will vary as our artisan designers work are with the freshest, in-season blooms. You can order online from your desktop, tablet, or phone. If you need to get a gift last-minute, just place order by 2pm Monday to Saturday and we'll deliver flowers the very same day! Free fresh flower delivery in local area. 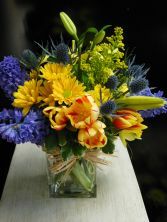 After ten years on Cedar Lane, we are happy to have Tim Blunk and Tiger Lily Flowers rejoin us at our location on Queen Anne Road. 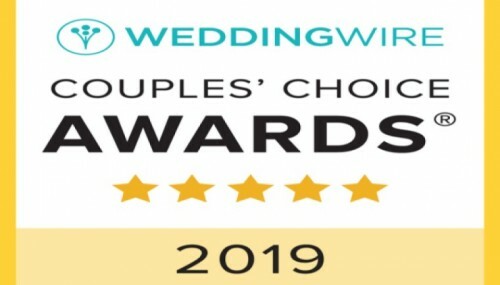 He will still be serving Tiger Lily customers from our studio here and together we will continue to manage Tiger Weddings, our wedding and events studio.